The system will offer all available sending options for each shipment and these can be changed as needed, including delivery addresses for each shipment. Deutsche Post - Small Package: for small and less valuable items. Deutsche Post - Weltpaket: for valuable items with the requirement to send faster. 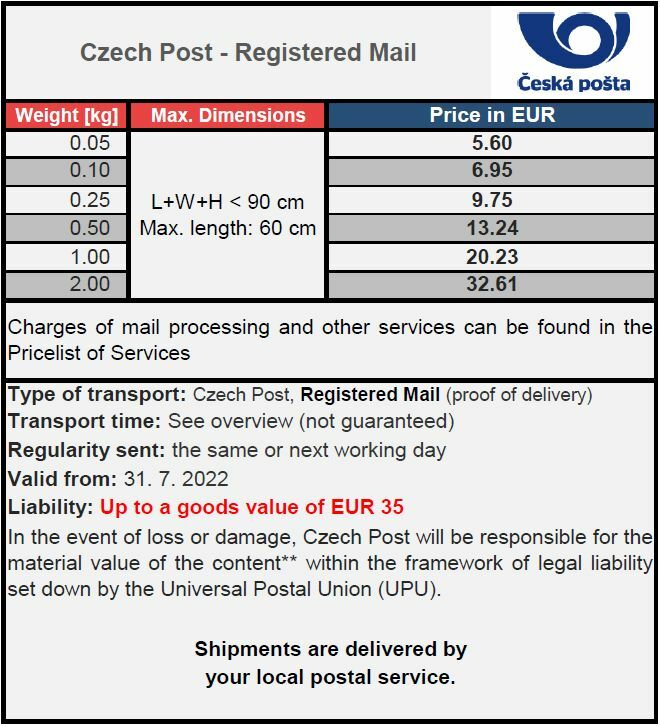 Czech Post - Registered Mail: for small and less valuable things up to 2 kg at very low postage. The smallest items up to 2 kg can be sent with proof of delivery. Usual transit time: 8 - 12 business days (economy). Faster transportation alternative suitable for larger shipments weighing up to 20 kg. Priority shipment includes liability of up to EUR 500 in the case of loss or damage and shipment tracking. 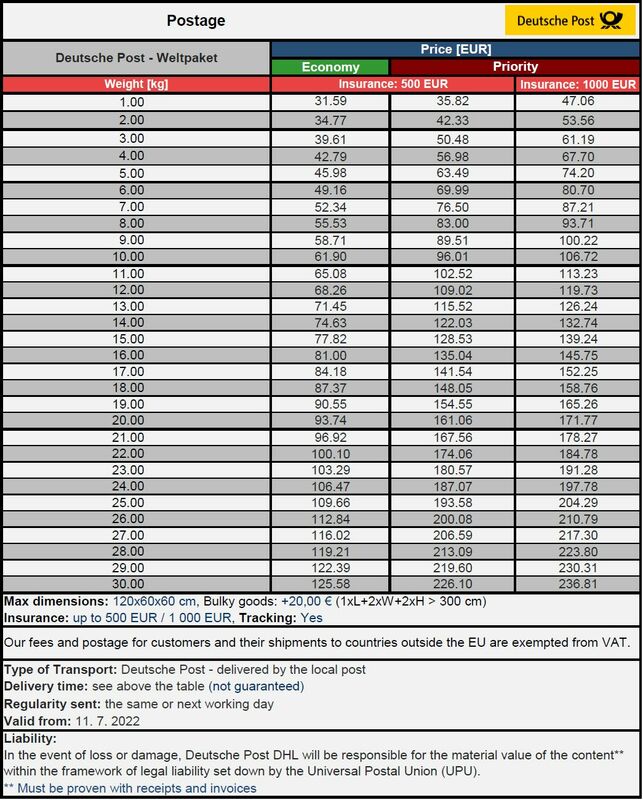 Usual transit time: 6 - 10 business days (priority), 8 - 12 business days (economy). The smallest items up to 2 kg can be sent with proof of delivery. Registered Mail includes online shipment tracking. Usual transit time: 7 - 9 business days (priority), Economy delivery is not offered to Armenia.. Copyright 2017 Mailboxde.com GmbH Mailboxde.com system is protected by copyright under the Act 121/2000 Collections - Copyright Act - as amended.